This is the real thing, as written for and recorded by the Buddy Rich Band on the Big Swing Face CD. Here is a terrific medium-tempo shuffle chart that the Buddy Rich Band played all the time. When the Buddy Rich Band played this chart, everyone loved it! 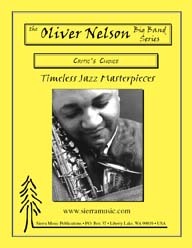 Oliver Nelson takes this terrific Duke Ellington tune to another level. Who will ever be able to forget the dynamic Buddy Rich Band? This chart was a staple in that library for a long time, spinning off of the 60's-70'slook at more contemporary music sources (rock, folk, etc. Written for and recorded by the Buddy Rich Band on the Big Swing Face CD, this wonderful chart features trumpet (a la Bobby Shew on the CD) and alto saxophone (a la Quinn Davis on the CD). The Buddy Rich Band played this chart for years! 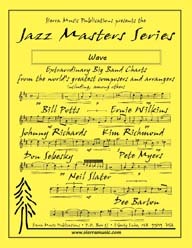 A sensational arrangement of a great tune in an up-tempo setting. Recorded by the Buddy Rich Big Band on both their albums "Big Swing Face" and "The New One," this great Bill Reddie chart is one of the most dynamic tunes Buddy every played. This is the real thing, as written for and recorded by the Buddy Rich Band on the Big Swing Face CD. As written for and performed by the Buddy Rich Big Band, here is the long-missing chart that Holman wrote to feature The Great One. This chart was a staple in the Buddy Rich Big Band library for a long time, spinning off of the incredible excitement of that band. As recorded by the Buddy Rich Big Band on their album "The New One," this great arrangement is full of fire and energy. This is one of the most original big band rock/fusion charts ever written. As recorded on the brilliant CD Afrique, by the Count Basie Orchestra, and also (in another form) by the Buddy Rich Band on the CD Swingin' New Big Band. Buddy Rich played this chart constantly! Features a great bass trombone solo on the tune. 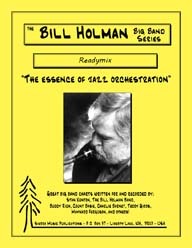 As written for and performed by the Buddy Rich Big Band, here is the long-missing chart that Holman wrote to feature Buddy on Drums and Pat LaBarbera on Tenor Sax.